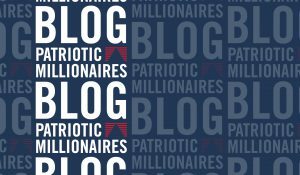 Home | Blog | What is the money supply and do you want Senator Cruz in control of it? What is the money supply and do you want Senator Cruz in control of it? The “money supply” means the total number of US dollars in existence, including not only physical dollars that people are carrying around, in cash registers, ATM machines, etc. but also balances in people’s checking accounts and the like. The money supply goes up and down because when people deposit money in checking accounts the banks can lend much of that money to other people. For example, if you take a one hundred dollar bill and bring it to a bank and deposit it in your checking account, the bank can then lend around eighty dollars or so to someone else. This expands the money supply because your hundred dollars in your checking account and the eighty dollars in the other person’s account are both included calculating the total supply. If everyone wanted to withdraw their money at the same time, the bank would have to take out loans either from other banks or the FED to get the money to pay off all of the depositors. The FED has the role of “lender of last resort”, and the FED also regulates the banks to ensure that they make only loans that they think will be profitable. The FED directly or indirectly controls the money supply through regulations, and primarily by setting the interest rate at which it will fund loans. … Maintain long run growth of the monetary and credit aggregates commensurate with the economy’s long run potential to increase production, so as to promote effectively the goals of maximum employment, stable prices and moderate long-term interest rates. Switching the United States to a gold standard would be a really big deal. Gold has recently been around $1,160 per ounce. The US treasury has around 261 million ounces of gold, which is worth around 303 billion dollars at the current price. The money supply (M1, from the H.6 report from October 22nd) is around 2.6 trillion dollars. That means that going to a gold standard would immediately cause gold to appreciate by around 860%, transferring a huge amount of wealth from people with checking accounts to people with physical gold. This sounds like a great policy – if you (like the billionaires backing some of the Republican candidates) believe that the way to create wealth is to extract raw materials from the earth and sell it. Decreasing the power of the elected government, in favor of the management of large commercial banks. Increasing the power and influence of the major gold producing countries over our financial system (the largest producer of gold is The People’s Republic of China, followed by Australia, the United States, South Africa, and Russia). Removing any possibility of inflation, thus causing wages to fall over time as the number of real dollars remains constant, while the amount of labor rises over time as the population grows. This is an extreme difference of opinion between the Senator and myself. I prefer living in a country with monetary authorities who are supposed to promote “maximum employment”. The Senator from Texas would prefer living in with monetary authorities whose priority is to preserve the wealth of investors. The voters will have an opportunity to let us know which they would prefer.